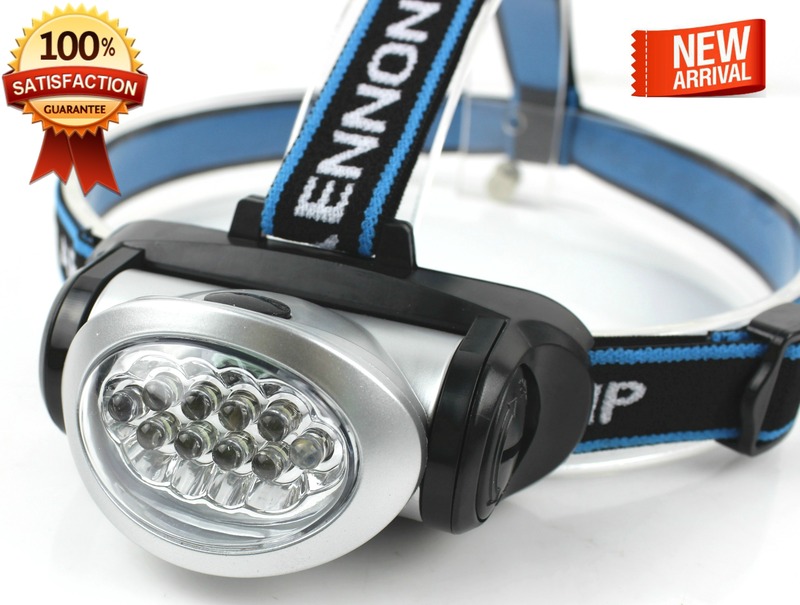 The Aennon headlamp is a great tool to have around the house. The headlamp is adjustable and fits comfortably around the head. You can adjust both the strap around the head as well as the strap that goes over the top of the head. This is a great feature because it makes the head lamp easy to fit to any size head. The lamp itself has 4 settings! You can click once for 1 row of lights, click twice for 2 rows of lights, click 3 times for 3 rows of lights and click one more time for red lights. The switch to turn it on is convenient located on the top of the head lamp and is easy to locate. The light also swivels up or down so you can shine the light where you need it. There is a foam piece in the front where the head lamp rests against your head. This makes wearing the device comfortable and keeps you from the light getting to hot and burning the skin. 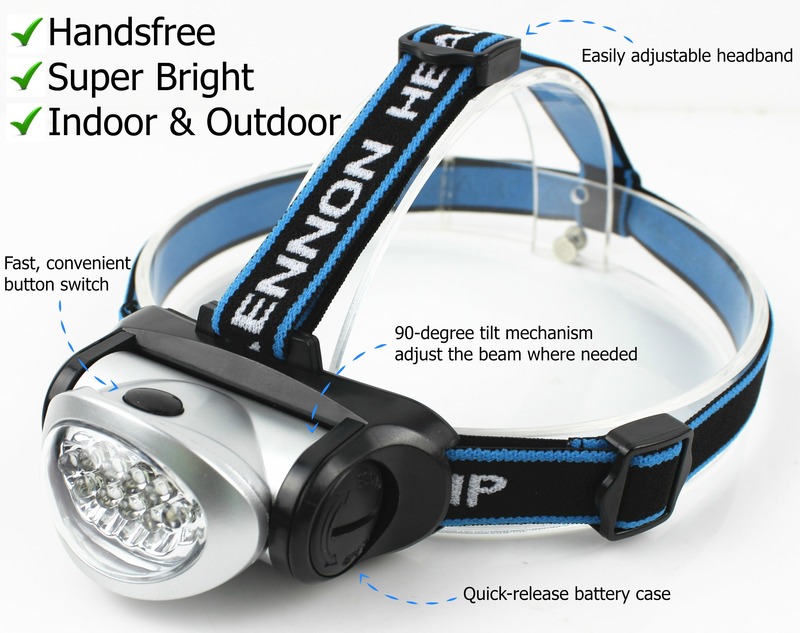 This head lamp is super convenient so you can be hands free while you work on projects. Works great! * Camping, running, hiking, caving, fishing, biking and other outdoor sports. * Night reading, late night bed checks, task lighting inside a vehicle. * Search-and-rescue scenarios and night time medical emergency. * Plumbing, electrical, construction, other household work and professional use. * Automotive roadside safety, auto repair and more. * Power-outage convenience and home security. * 4 Light Modes: 2 LED – 4 LED – 8 LED – 2 Red LED – OFF. * 2 LED (Power Save) – 10 Lumens that shine up to 65 feet (20 meter). * 4 LED (Bright) – 20 Lumens that shine up to 98 feet (30 meter). * 8 LED (Ultra Bright) – 30 Lumens that shine up to 164 feet (50 meter). * STEADY Red LED (No annoying flashing red light as with other headlamps). * Red LED light ideal for reading, preserving night vision, and for not disturbing others. * Easy-to-use single button control. * Weighs 2.95oz, so no “bobbing” around. * Small, portable, easy to carry anywhere, and fits around head, hat, helmet, bike or belt. * Long LED lifetime up to 20,000 hours; no need to change the LEDs. * Save time and money on batteries since LED lights last much longer then regular light bulbs. * Sturdy headlamp body tilts up to 90-degrees, allowing you to focus light as needed..
* Once the beam is in your preferred position, you can be sure that it will stay there. * Shock-resistant, toughened ultra-strong glass lens with AR coating. * Powered by 3x AAA Batteries (included!). * Up to 16 hours of battery life (using Power Save mode). This hands-free flashlight is ideal for your toolbox, emergency kit in home or car. 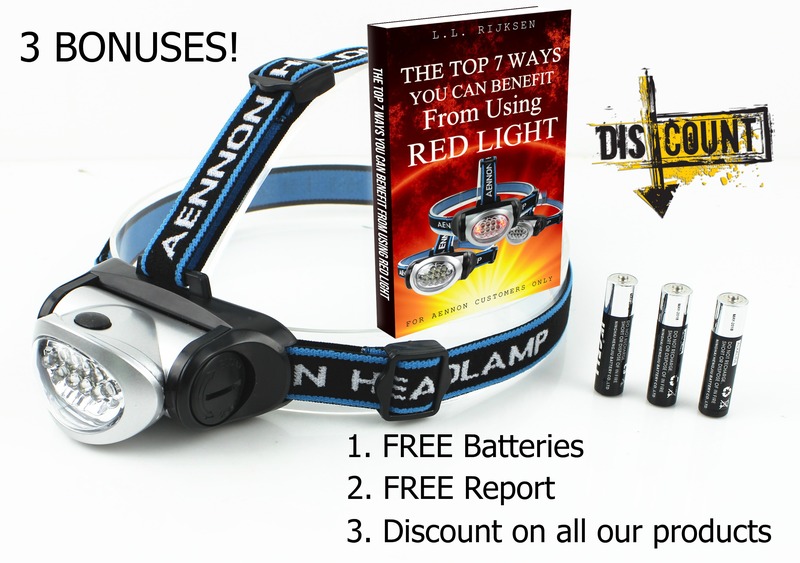 You can purchase this headlamp on Amazon! Make sure to visit their Website also! I received one or more of the products mentioned above for free using Crowdtap.com, Tomoson.com, other review website, or the manufacturer directly. Regardless, I only recommend products or services I use personally and believe will be good for my readers.